1. Funktsional'nye Narusheniya Zheludochno-Kishechnogo Trakta u Detey Grudnogo Vozrasta i Ikh Dietologicheskaya Korrektsiya [Functional Disorders of the Gastrointestinal Tract in Infants and their Nutritional Correction]. In the book: Lechebnoe Pitanie Detey Pervogo Goda Zhizni [Therapeutic Nutrition of Infants]. Under the general editorship of A. 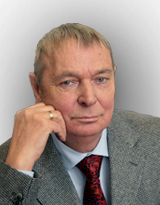 A. Baranov, V. A. Tutelyan. Klinicheskie Rekomendatsii dlya Pediatrov [Clinical Guidelines for Pediatricians]. Moscow, Soyuz Pediatrov Rossii Publ., 2010. P. 51–64. 2. Funktsional'nye Narusheniya Zheludochno-Kishechnogo Trakta u Detey Grudnogo Vozrasta i Ikh Dietologicheskaya Korrektsiya [Functional Disorders of the Gastrointestinal Tract in Infants and their Nutritional Correction]. In the book: Natsional'naya Programma Optimizatsii Vskarmlivaniya Detey Pervogo Goda Zhizni v Rossiyskoy Federatsii [National Program for Optimization of Infants Feeding in the Russian Federation]. Moscow, Soyuz Pediatrov Rossii Publ., 2010. P. 39–42. 3. Hyman H. E., Milla P. J., Benninga M. A., Davidson G. P., Fleisher D. F., Taminau J. Childhood functional gastrointestinal disorders: neonate/toddler. Gastroenterology. 2006; 130: 1519–1526. 4. Sherman P. M., Hassall E., Fagundes-Neto U., Cold B. D., Kato S., Kolezko S. A global evidence-based consensus on the definition of gastroesophageal reflux disease in the pediatric population. Am. J. Gastroenterol. 2009; 104: 1278–1295. 5. Vandenplas Y., Rudolph C. D., Di Lorenzo C., Hassall E., Liptak G. Pediatric gastroesophageal reflux clinical practice guidelines. Joint recommendations of the North America Society for pediatric gastroenterology, hepatology and nutrition (NASPGHAN) and European Society for pediatric gastroenterology, hepatology and nutrition (ESPGHAN). J. Pediatr. Gastroenterol. Nutr. 2009; 49: 498–547. 6. Sindrom Rvoty i Srygivaniya u Detey. Posobie dlya Vrachey [Vomiting and Regurgitation Syndrome in Children. Manual for Physicians]. Edited by I. N. Zakharova, N. A. Korovina, M. I. Pykova et al. Moscow, 2009. 140 p.
7. Moon R. Y. Task force on sudden infant death syndrome, SIDS and other sleep-related infant deaths: expansion of recommendations for a safe infant sleeping environment. Pediatrics. 2011; 128: 1030–1039. 8. Horvath A., Dziechciarz P., Szaewska H. The effect of thickenedfeed intervention on gastroesophageal reflux in infants: systematic review and meta-analysis of randomized controlled trials. Pediatrics. 2008; 122: 1268–1277. 9. Costalos C., Kapiki A., Apostolou M., Papathoma E. The effect of a prebiotic supplemented formula on growth and stool microbiology of term infants. Early Hum. Dev. 2008; 84: 45–49. 10. Borovik T. E., Skvortsova V. A., Yatsyk G. V. et al. Funktsional'nye Narusheniya Zheludochno-Kishechnogo Trakta u Detey Grudnogo Vozrasta: Rol' Dietoterapii [Functional Disorders of the Gastrointestinal Tract In Infants: The Role of Diet Therapy]. Lechashchiy vrach [Doctor in Charge]. 2011; 6: 66–69. 11. Aggett P. G., Agostoni C., Goulet O., Hernell O., Kolezko B., Lafeber H. Antireflux or antiregurgitation milk products for infants and young children. A commentary by the ESPGHAN Committee on Nutrition. J. Pediatr. Gastroenterol. Nutr. 2002; 34: 496–498. 12. American Academy of Pediatrics, Committee on Nutrition. Hypoallergenic infant formulas. Pediatrics. 2000; 106: 346–349. 13. Wessel M. A., Cobb J. C., Jackson E. B., Harris G. S. Paroxysmal fussing in infancy, sometimes called «colic». Pediatrics. 1954; 14: 421–435. 14. Shergill-Bonner R. Infantil colic: practicalities of management, including dietary aspects. J. Fam. Health Care. 2010; 20: 206–209. 15. Cohen-Silver J., Ratnapalan S. Management of infantile colic: a review. Clin. Pediatr. 2009; 48: 14–17. 16. Critch J. Infantil colic: is there a role for dietary intervention? Pediatr. Child. Health. 2011; 16: 47–49. 17. Lucassen P. L., Assendelft W. J., Gubbels J. W., van Eijk J. T., Douwes A. C. Infantile colic: crying time reduction with a whey hydrolysate: A double-blind, randomized, placebo-controlled trial. Pediatrics. 2000; 106 (6): 1349–1354. 18. Savino F., Palumeri E., Castagno E., Cresi F., Dalmasso P., Cavallo F., Oggero R. Reduction of crying episodes owing to infantile colic: A randomized controlled study on the efficacy of a new infant formula. Eur. J. Clin. Nutr. 2006; 60 (11): 1304–1310. 19. Metcalf T. J., Irons T. G., Sher L. D., Young P. C. Simethicone in the treatment of infantile colic: a randomized, placebo-controlled multicenter study. Pediatrics. 1994; 94: 29–34. 20. Savino F., Cordisco I., Tarasco V. Lactobacillus reuteri DSM 17938 in infantile colic: a randomized, placebo controlled trial. Pediatrics. 2010; 126: 526–533. 21. Chen I. L., Gao W. Y., Johanson A. P., Niak A., Troiani J. Proton pump inhibitor use in infants: FDA reviewer experience. Gastroenterol. Nutr. 2012; 54: 8–14. 22. Baildam E. M. Duration and pattern of crying in the first year of life. Dev. Med. Child. Neurol. 1995; 37: 345–353. 23. St. James-Roberts I., Peachey E. Distinguishing infant prolonged crying from sleep-waking problems. Arch. Dis. Child. 2011; 96: 340–344. 24. Gormally S. Clinical clues to organic ethiologies in infants with colic. In: New evidence on unexplained early infant crying: its origins, nature and management. R. Barr, I. St. James-Roberts (eds.). Johnson& Johnson Pediatric Institute. 2001. P. 133–149. 25. Freedman S. B., Al-Harthy N., Thull-Freedman J. The crying infant: diagnostic testing and frequency of serious underlying disease. Pediatrics. 2009; 123: 841–848. 26. Sorvacheva T. N., Pashkevich V. V., Kon’ I.Ya. Dietoterapiya Zaporov u Detey Pervogo Goda Zhizni [Diet Therapy of Constipation in Infants]. In the book: Rukovodstvo po Detskomu Pitaniyu [Guidelines for Child Nutrition]. Edited by V. A. Tutelyan, I.Ya. Kon’. Moscow, MIA Publ., 2009. P. 519–526. 27. Tunc V. T., Camurdan A. D., Illah M. N., Sahin F., Beyazova U. Factors associated with defecation patterns in 0–24 month-old children. Eur. J. Pediatr. 2008; 167: 1357–1362. 28. Biggs W. S., Dery W. H. Evaluation and treatment of constipation in infants and children. Am. Fam. Phys. 2006; 73: 469–477. 29. Eigenmann P. A., Zamora S. A., Belli D. C. Cow, s milk and chronic constipation in children. N. Engl. J. Med. 1999; 340: 891. 30. Anokhin V. A., Khasanova E. E., Urmancheeva Yu. R. et al. Otsenka Klinicheskoy Effektivnosti Smesi Frisovom v Pitanii Detey s Disbakteriozom Kishechnika Razlichnoy Stepeni i Minimal'nymi Pishchevaritel'nymi Disfunktsiyami [Evaluation of the Clinical Effectiveness of the Frisovom Mixture in Nutrition of Children with Varying Degrees of Intestinal Dysbiosis and Minimal Digestive Dysfunctions]. Voprosy sovremennoy pediatrii [Current Pediatrics]. 2005; 3: 75–79. 31. Yolkina T. N., Kondyurina E. G., Surovikina E. A., Gribanova O. A. Otsenka Effektivnosti Antireflyuksnoy Smesi s Prebiotikami dlya Korrektsii Funktsional'nykh Rasstroystv Pishchevareniya u Detey Pervykh Mesyatsev Zhizni [Evaluating the Effectiveness of Antireflux Mixtures with Prebiotics for the Correction of Digestive System Functional Disorders in Infants]. Voprosy detskoy dietologii [Problems of Pediatric Nutritiology]. 2011; 6: 53–57. 32. Sackesen C., Assaad A., Baena-Cagnali C., Ebisawa M., Fiocchi A., Heine R. G. Cow, s milk allergy as a global challenge. Curr. Opin. Allergy Clin. Immunol. 2011; 11: 243–248. 33. Fiocchi A., Schunemann H. J., Brozek J., Restani R. et al. Diagnosis and rationale for action against cow, s milk allergy. A summary report. J. Allergy Clin. Immunol. 2010; 51: 599–607. 34. Henriksen C., Eggesbo M., Halvorsen R., Botten G. Nutrient intake among two-years old children on cow, s milk restricted diets. Pediat. Clin. North Am. 2009; 56: 1085–1103. 35. Boyce J. A., Assaad A., Burks A. W., Jones S. A. et al. Guidelines for the diagnosis and management of food allergy in United States. Report of NIAID-sponsored expert panel. J. Allergy Clin. Immunol. 2010; 126 (6): 1–58. 36. Skripak J. M., Matsui E. C., Mudd K. The natutal history of IgEmediated cow, s milk protein allergy in infants. Arch. Dis. Child. 2007; 92: 902–908. 37. Vandenplas Y., De Greef E., Devreker T., Hauser B. Soy infant formulas: is it that bad? Acta. Paediatr. 2011; 100: 162–166. 38. Bhatia J., Greer F. American Academy of Pediatrics Committee on Nutrition. Use of soy protein-based formulas in infant feeding. Pediatrics. 2008; 121: 1062–1068. 39. Klemola T., Vanto T., Juntunen-Backman K. Allergy to soy formula and to extensively hydrolysed whey formula in infants with cow’s milk allergy: a prospective randomized study with a follow-up to the age of 2 years. J. Pediatr. 2002; 140: 219–224.